Since, Joshua's songs have been further featured on the FOX Television drama North Shore, Bones and the ABC medical drama Grey's Anatomy. His song "Star Mile" is on The Last Kiss movie soundtrack. Most recently his song "What If You" was featured on the Catch and Release soundtrack. He also has a couple tracks on the Adam soundtrack, including "When I Find You." The album "We Were Here" was released in 2006, containing many of the songs featured on the various television shows. The album is made up of heavily acoustic indie Folk/Pop, and is especially reminiscent of Simon & Garfunkel, Elliott Smith, Jode Gannon, Damien Rice and Iron & Wine. 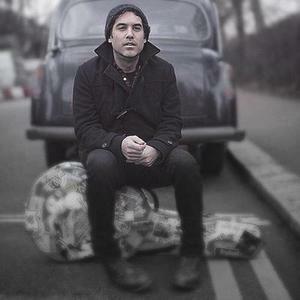 Joshua Radin is featured in Ashtar Command's song "Mark IV" from the band's debut LP American Sunshine.